DocM.A.C. Write Publishing, 9780692137543, 268pp. African-American stories were overlooked by mainstream media until John H. Johnson showed the world the value of black life. In his magazines EBONY and JET, the publisher and businessman presented never-before-told accounts and used captivating, memorable images to share stories of black people. In Empire: The House That John H. Johnson Built (The Life & Legacy of Pioneering Publishing Magnate), Margena A. Christian conducts extensive archival research, drawing upon rare sources and a personal decade-long relationship as an employee under the direct tutelage of Johnson. She meticulously constructs the complex story of what made the founder of these magazines become one of history's greatest publishers and businessmen. Johnson climbed over racial barriers and obstacles designed to deter his goals, but he succeeded against the odds anyway while holding true to his motif, "Failure is a word I don't accept." As founder of the Chicago-based Johnson Publishing Company (JPC), he quietly funded the Civil Rights Movement, providing a platform for the Rev. Dr. Martin Luther King, Jr. and the Rev. Jesse L. Jackson, Sr., to promote messages of freedom and equality for all. Johnson dared to show pictures of the battered body of Emmett Till on the pages of JET in 1955, sending a shockwave across the nation. When advertisers ignored black consumers, he showed Madison Avenue the power of profitably by including black models and themes appealing to his race. He advised presidents and became the first African American to construct a major building in Chicago's Loop. 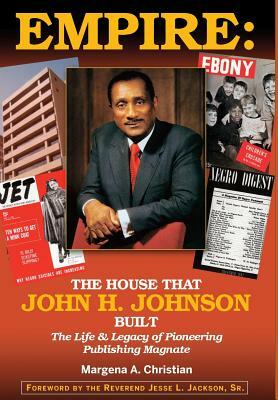 Hailed as "The Most Outstanding Black Publisher in History" and as "The Greatest Minority Entrepreneur in U.S. History," Johnson was also awarded the Presidential Medal of Freedom, America's highest civilian honor. The poor boy from Arkansas City, Arkansas, who picked cotton as a child, made more history as the first black person named to the Forbes 400 richest Americans and amassed an empire, ranging from publishing, cosmetics, travel, radio stations, TV shows, hair care products, and world's largest traveling fashion show.